Every person should have that once-in-a-life-time dog. 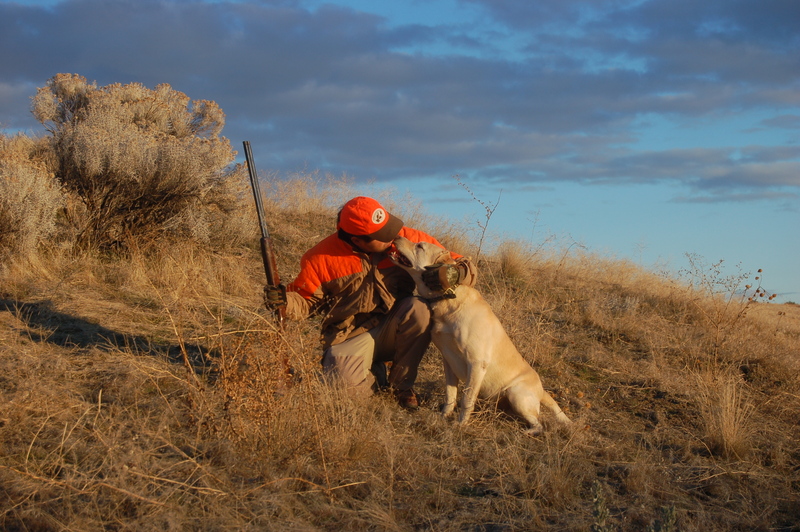 For me I am enjoying the golden years of a great partnership with my buddy, a yellow-lab, named Decoy. Decoy is in his golden years. At 8, what Decoy knows, he knows. My time as trainer and master has ended and now it evolves into a hunting partner that knows what I want before I have to say it. As an old-salty lab he has seen the tricks from chasing quail in Kern County to hunting the icy flows of the Snake River in single digit temperatures. With each retrieve I get a little moist in the eyes just enjoying the fleeting moments of the next few years. It got me to thinking about the similar relationship we have with so many of our clients. We are proud that over 90% of customers decide to stay with Crosby and Crosby year after year. Many of our clients come to us from referrals. As the years go by we deal with our clients life events, getting married, having kids, sending the kids to college, retiring. All of those times and years of knowing each other we become great partners with our clients. Many of them we know by voice and greet like an old friend when we see them in the office. We hope to anticipate your needs and learn all the ways we can better serve you, our client. Thank you for your continued business and referrals, we appreciate it and look forward to serving you in the future! Nice picture. Hope your family is doing well.